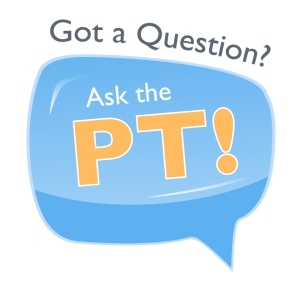 Baudry Therapy Center/ BRIO partnered with the New Orleans Track Club to launch an “Ask the PT” feature in the NOTC monthly newsletter allowing runners the opportunity to submit questions to our experienced PTs about run training, nutrition or pain. The first question comes from an NOTC runner who recently completed the 2015 Jazz Half Marathon in October. His excellent question focuses on how weather and nutrition can affect a run. Q: Weather conditions were damp, humid and warm. I stopped at each water station and got water, Gatorade or both to drink. However, throughout the race, I became dehydrated. For the last 2 miles, my legs became sore and inflexible. To avoid this experience in future races, what could I have done days before the race, the night before the race, the morning of the race? Are there foods and beverages I should avoid before a race of this distance and weather conditions ? Baudry Therapy Center’s Taryn Cohn PT, MSPT, OCS and an avid runner responds to his question. A: The weather can certainly play a major factor when running, and for this particular race, it was difficult for most runners. Humid conditions always make long distances challenging. I think your strategy of hydration was good given the circumstances. Unfortunately, some days are just better than others when you’re running that kind of distance. Here is an article that hit the highlights of what I do leading up to an endurance event that I’ve found to be successful. Although Gatorade seems to be the “go-to” for sports drinks during a race, it tends to be pretty high in sugar. I have found that Nunn, Powerade Zero or Rehydrate (an Advocare product) work better for me and produce less stomach upset. What this article touches on that I think is most important is that it is not always what you do on race day but what you do 2 and 3 days prior to race day that is the most important.